In order to have optimal vision, the eyes need to work in unison with each other and with the brain. When this does not happen, a condition called amblyopia, or lazy eye, can occur. In most instances of ambylopia the eyes themselves are typically in good health yet visual acuity cannot be achieved by just the use of prescription glasses. If untreated amblyopia can result in severe visual impairment, even loss of sight in the affected eye. Amblyopia is the most common vision disorder in children. Usually beginning in the developmental stages of infancy, the condition can be difficult to discern. Early diagnosis and treatment improve the possibility of full vision restoration. Treatment is usually faster and more effective for patients who begin before adolescence. This is why it is crucial to have your child’s vision tested at an early age. According to the AOA (American Optometric Association) children should have a comprehensive eye exam at the age of six months and another at age three. Lazy eye occurs when the eyes or visual system do not function in unison. One common cause is strabismus, a condition where the eyes are not properly aligned. Such misalignment results in eyes that cross in (estropia) or turn out (exotropia) and therefore aren’t able to work together. Sometimes amblyopia is caused when the eyes have different levels of acuity. This condition is called anisometropia. Occasionally, amblyopia is caused by other optical conditions such as a cataract or some other pathological problem. Amblyopia is treated by measures to achieve proper vision to both eyes. Along with the use of prescription eyeglasses or contacts, one of the most common approaches entails strengthening the weaker eye by occluding the good eye. A few treatment options exist to do this and the treatment plan is selected according to the individual circumstances and the decision of the optometrist. Frequently doctors will prescribe patching, where a patch is worn to occlude the good eye. This compels the patient to use the weaker eye, which promotes vision in the weaker eye and assists the visual system in the brain develop properly. Nevertheless this treatment largely depends on cooperation with wearing the patch, which can be difficult with many children. An alternative to patching is the use of a drug called atropine. When a drop of atropine is applied to the strong eye, this will blur the sight and therefore stimulate the preference of the weaker eye. Occasionally patients can be treated by vision aides alone, such as prescription glasses or contacts that improve vision in each eye, however this is rare. Further, vision therapy to train the eyes to work together or in some cases a surgical procedure might also be suggested. Since amblyopia is caused by a problem with the visual process, younger patients often experience more success with treatment. Nevertheless, there have been many instances where older patients were successfully treated and therefore anyone who suspects they or their child has amblyopia should consult as soon as possible with their optometrist If you are looking for lazy eye consultation in Boynton Beach, FL, be in touch to book a visit. 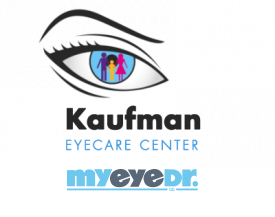 The sooner proper diagnosis and treatment are underway, the sooner we can help repair your eyesight!